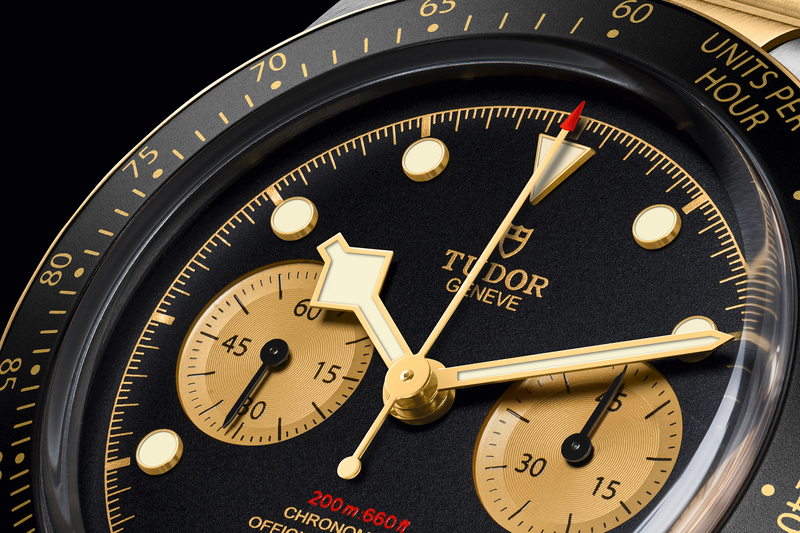 Tudor announces a new variation of the Black Bay with a matte black bezel and a gilt dial. 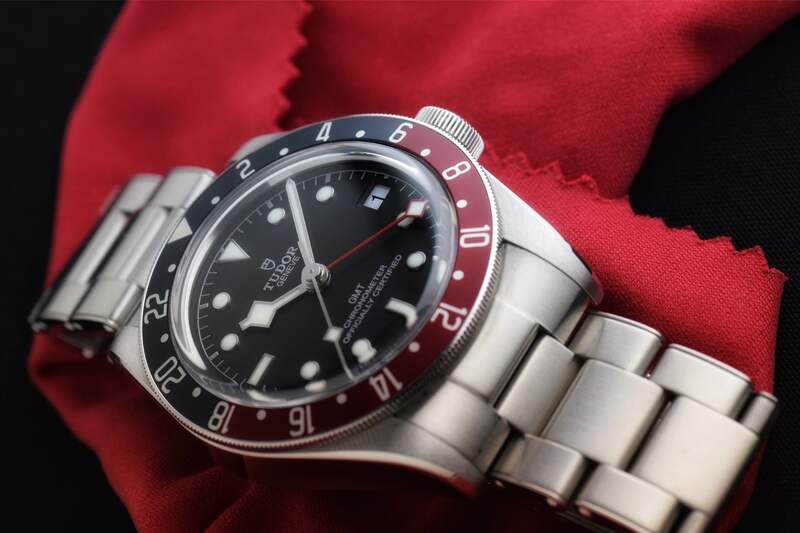 The watch is virtually the same as the 79220R (red bezel version) with the exception of a new black bezel with a red triangle at 12 o’clock, a black anodized aluminum crown tube, and now a slightly different black distressed leather strap as an option. 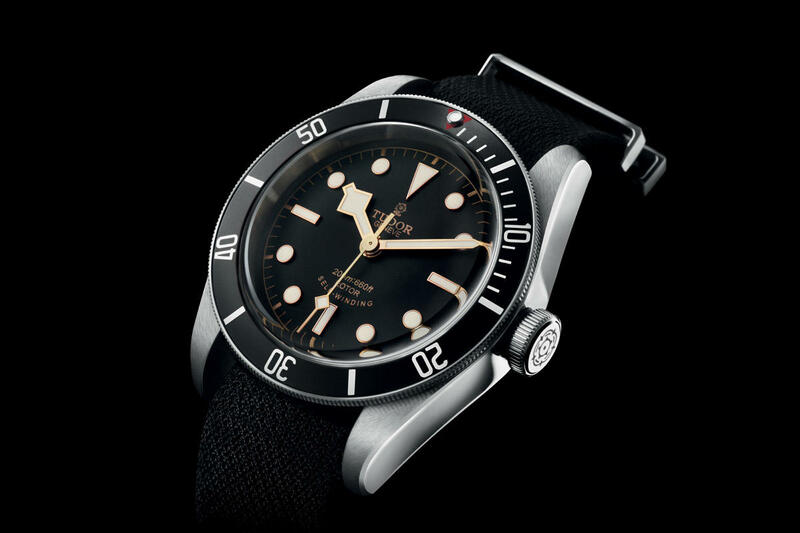 Furthermore, if you break it down, the Tudor Black Bay 79220N is virtually the same as Ref. 7923/001, that was produced as a one-of-a-kind edition for Only Watch 2015, except it has the standard hour, minute and second hands – with the standard writing at 6 o’clock as seen on references 79220B and 79220R. We were hoping the latest Black Bay would upgrade from an ETA 2824 to the new in-house manufactured caliber MT 5621 (which was launched in the North Flag and Pelagos lines earlier this year). Unfortunately, they stayed with the more basic, and less exclusive ETA 2824. 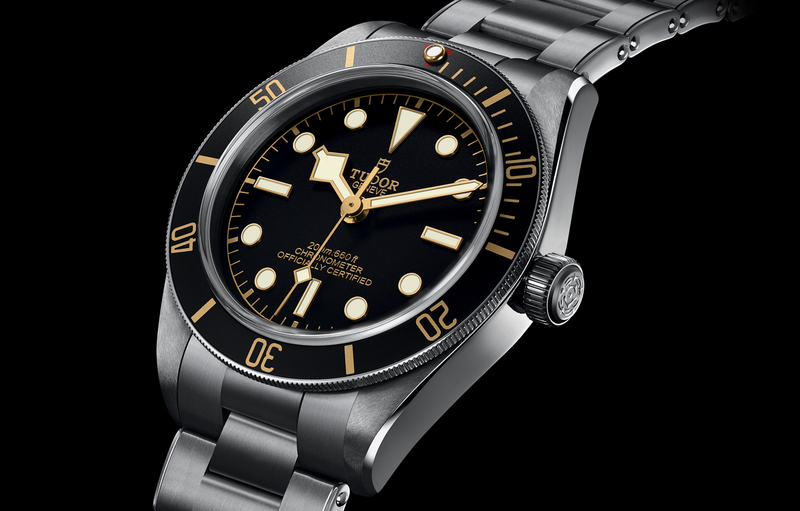 Either way, Tudor has taken a popular model and given potential buyers a third compelling variation to choose from. Retail price is $3,100 with a leather strap and $3,425 on a steel bracelet. And as before, both come with an extra Nato strap. It is available in stores October 15th (today).